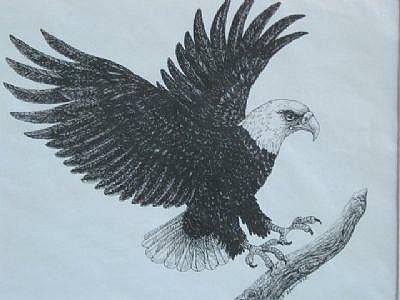 Despite Ben Franklin, the eagle is the American symbol for Liberty, Freedom & other patriotic ideas. We are not alone, as other countries, past and present also use various forms of eagles on their flags & emblems. 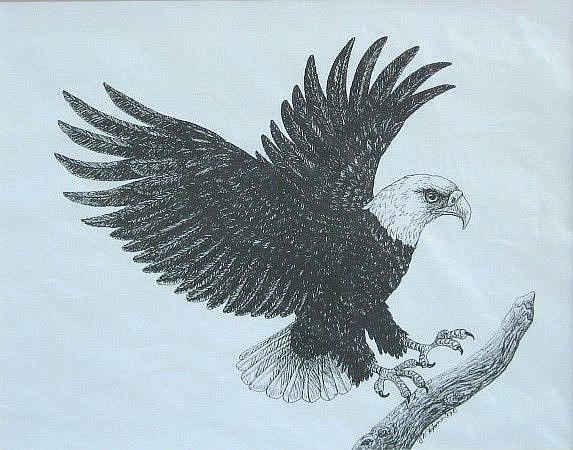 This is a black & white reproprint done from a pen & ink drawing. After constant requests for bald eagles, I decided a print would be a good way to satisfy customers without continually repeating myself. Sold matted or framed.